Handpicked from companies across the US and abroad, this was last summer's amazing roster of company dancers. Augusto Cezar (Third Season) An accomplished performer in his native Brazil, Augusto Cezar brings an impressive resume of international training to Terpsicorps . His training and experience provided him the opportunity to represent Brazil at the 2010 USA International Ballet Competition in Jackson, Miss., where he was selected as a semi-finalist. During his tenure at Nashville Ballet, Augusto has performed as the Jester in Cinderella, Blue Bird in The Sleeping Beauty, was featured in Dominic Walsh's The Whistling, as the clever Bonvolio in Paul Vasterling's Romeo & Juliet and the title role in Paul Vasterling’s world premiere production of Peter Pan. Jeff Ewing (Seventh Season, fourth as a full company member) is from Torrance, California where he began his classical ballet training at the age of six. His family moved to Asheville while he was in high school, where he continued his studies locally with Heather Maloy as his ballet instructor. Jeff currently dances in Chicago with Lucky Plush Productions and Cocodaco Dance Project. He earned a BFA in Dance Performance at the Boston Conservatory, studied at the Juilliard Summer intensive, the apprentice program at The Chautauqua Institution, and assisted Cathy Young at Bates Dance Festival. 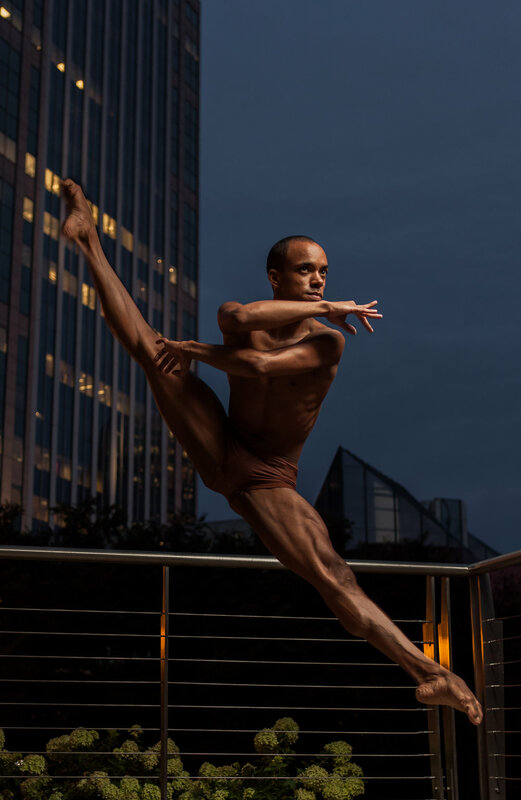 He spent a year dancing with Charlotte Ballet’s second company where he performed the works of Mark Diamond, Dwight Rhoden, and David Ingram. 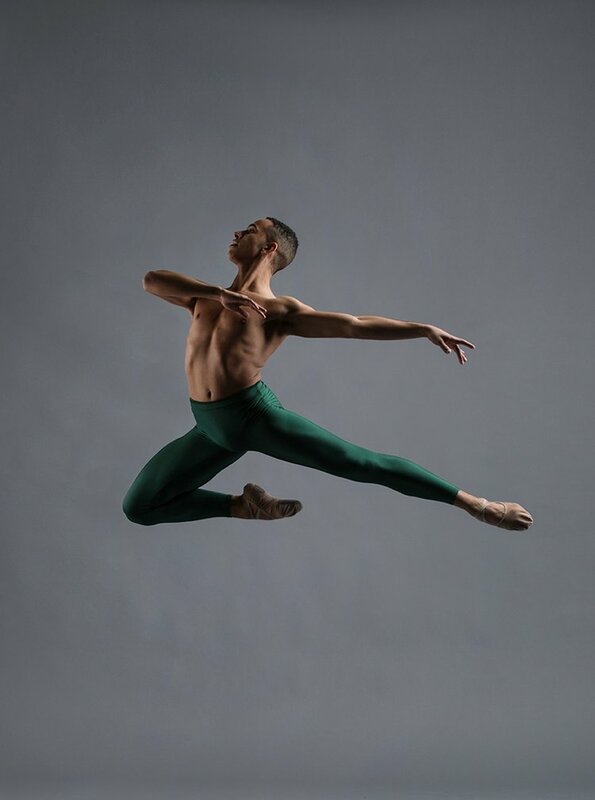 Matthew Griffin (Second Season, first as a full company member) began his formal ballet training under Sergiy Mikhaylov and Darya Fedotova at The School of Russian Ballet in Sarasota, Florida and graduated from Butler University in Indianapolis in 2017. 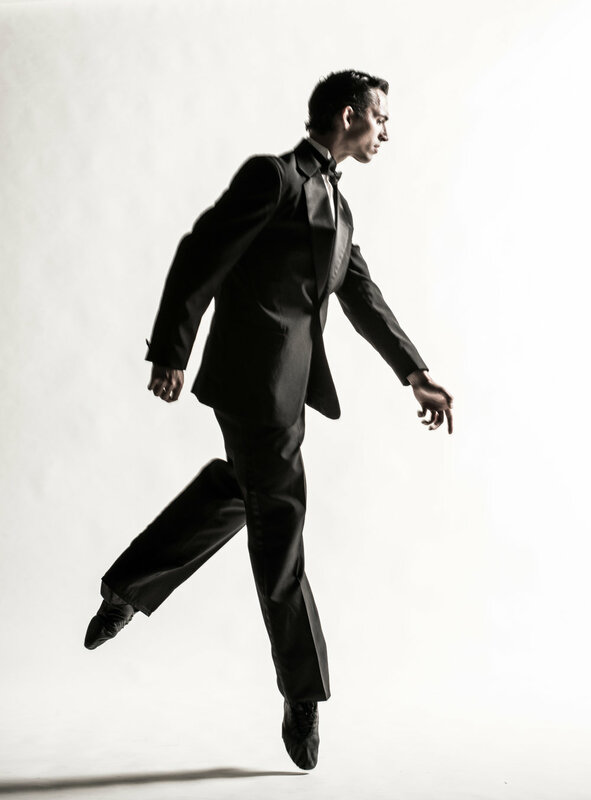 Upon graduation, Matthew apprenticed with Terpsicorps and then joined the Cincinnati Ballet that Fall. Since joining the Cincinnati Ballet, he has performed in Romeo and Juliet, The Nutcracker (Russian, Chinese), Nicolo Fonte’s Carmina Burana, George Balanchine’s Rubies, and works by Travis Wall, Penny Saunders, and Garrett Smith. Samantha Griffin (Second Season) Originally from Winston-Salem, North Carolina, Samantha received her preliminary training at University of North Carolina School of the Arts, then continued to dance as an apprentice with Charlotte Ballet before joining the Cincinnati Ballet in 2015. Since she has been with Cincinnati Ballet she has enjoyed dancing roles in Ohad Naharin's Minus 16, Balanchine’s Four Temperaments, Dark Angel in Balanchine’s Serenade, Tall girl in Balanchine’s Rubies, Nicolo Fonte’s Carmina Burana and Garrett Smith’s Facades. Canfield. Photo by Virginia Trudeau. Emma McGirr (Second Season) Originally from Ohio, Emma began her training at the Schrader Youth Ballet. Graduating with a BFA in dance with a ballet emphasis from the University of Cincinnati’s College-Conservatory of Music., she has danced with the Louisville Ballet and the Eugene Ballet, and just finished her 4th season with Nevada Ballet Theatre. Principal roles have included works by Balanchine, Clara in James Canfield’s The Nutcracker, Tinkerbell in Jorden Morris' Peter Pan, Beauty in Lew Christensen’s Beauty and the Beast, and the title role in the world premiere of James Canfield and Tara Foy's Cinderella. She has enjoyed dancing works by Adam Hougland, Gerald Arpino and Paul Taylor. Emma has performed in collaboration with Cirque du Soleil in A Choreographer’s Showcase at the Mystère Theater and with the unique performance group #instaballet in which audience members help choreograph a ballet in real time with the dancers. Kate Rouzer (First Season) has recently completed her ninth season with the St. Louis Ballet Company, following a season with both Tulsa Ballet II and Orlando Ballet II. She has performed principal roles in classical and contemporary works such as Odette/Odile in Swan Lake, Cinderella & the Fairy Godmother in Cinderella, Kitri in Don Quixote and Aurora in The Sleeping Beauty, as well as choreography by Balanchine, Val Caniparoli, Francis Patrelle and Christopher Wheeldon. Kate has been honored to have original roles created on her by Christopher D'Amboise, Amy Seiwert, Kevin Jenkins, Gregory Dolbashian, Emery LeCrone, Pam Tanowitz, and Michael Utoff. She has enjoyed performing works by Lyla York, Twyla Tharp, Nilas Martins, and Gen Horiuchi. On Mr. D’Amboise’s nomination, she was awarded a grant from the Boomerang Fund for Artists in 2010. Kate is also the Owner & Instructor of AntiGravity®STL Aerial Yoga & Suspension Fitness. Gavin Stewart (Third Season) is a dancer, composer and choreographer from Tulsa, OK. He holds a BFA in Dance Performance from UMKC Conservatory of Music and Dance and has danced professionally with Wylliams/Henry CDC, MOVE: the Company, Richmond Ballet II, Company E, and Terpsicorps Theatre of Dance. Mr. Stewart has performed works by S. Aiello, G. Balanchine, V. Caniparoli, M. Cong, R. Erdos, J. Lang, T. Noone, and has originated roles in works by notable choreographers such as J. Archibald, J. Beamish, S. Janes, J. Peugh, W. Soleau, and E. Zandejas. Mr. Stewart's choreography has been seen on Wylliams/Henry CDC, Richmond Ballet I & II, and Company E’s dance programs in Kazakhstan, Turkmenistan, Russia, Azerbaijan, Palestine, Israel, Uruguay, and Cuba. In 2015 Company E appointed Gavin Composer-In-Residence, since then he has originated music for five evening-length productions. Marisa Whiteman (First Season) A native of Long Island, NY, Marisa Whiteman began ballet at age 4. In 2010 she joined Next Generation Ballet, continuing on to Pittsburgh Ballet Theatre School in 2012 where she danced many company roles. She joined Kansas City Ballet II in 2014 where she has performed in Adam Hougland’s Rite of Spring, Devon Carney’s Romeo and Juliet, Matthew Neenan’s The Uneven, Septime Webre’s Alice (In Wonderland), and Stanton Welch’s Play, as well as with Pink Martini in concert, amongst others. She has performed at the Hermitage Theatre in St. Petersburg, Russia, and attended The School at Jacob’s Pillow, where she was featured in Yury Yanowsky’s World Premiere at the opening Gala Performance.